China Airlines is the latest airline to order an Airbus A350. In this trip report I review their Business Class product. The Airbus A350-900 is a new aircraft and is arguably the competitor to Boeing’s carbon fibre 787 aircraft. I have outlined which Airlines Fly The Airbus A350 Aircraft in this review. 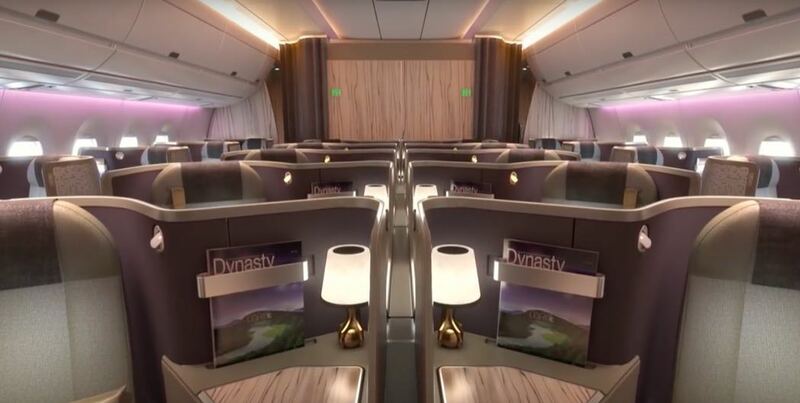 In business class, China Airlines offers B/E Aerospace Super Diamond outward-facing herringbones, similar to those installed on the airline’s Boeing 777-300ER fleet. 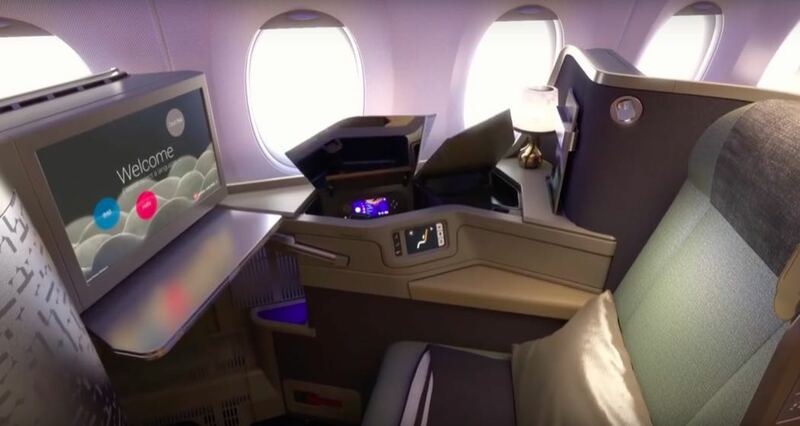 The 1-2-1 layout features 18-inch IFE screens and personal table lamps. The large business class cabin stretches from doors 1 to doors 2, with premium economy starting behind those boarding doors. 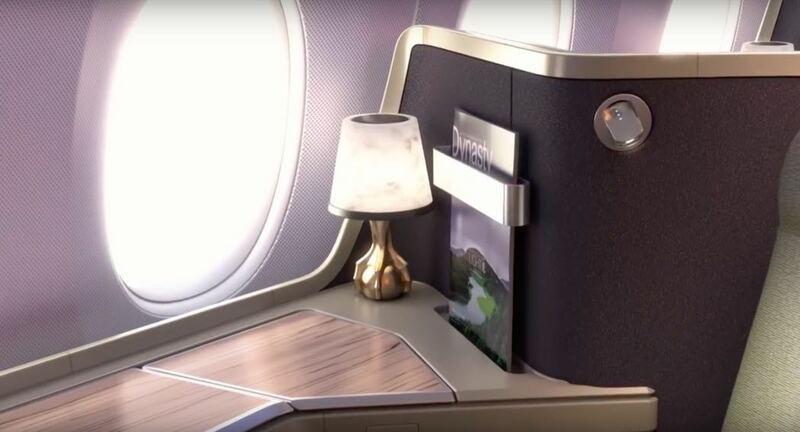 The Sky Lounge concept found on the B777-300ER will also be present the A350, as the “Sky Bistro”. 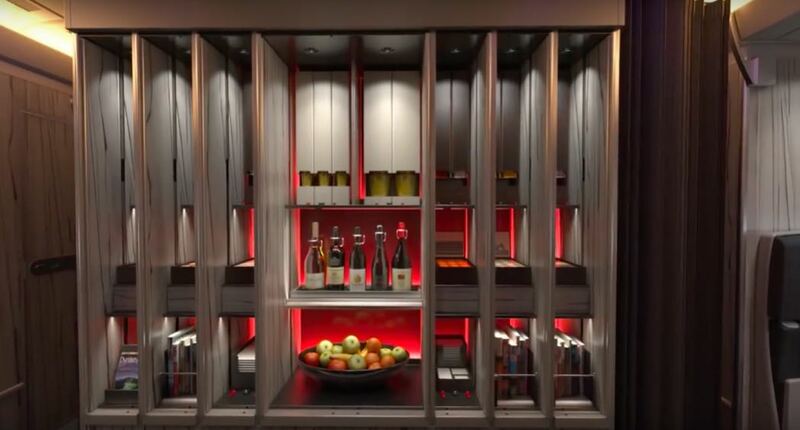 It will function as a space where premium passengers can find snacks and reading materials during their flight. This is positioned by the door when entering the plane. The elegant and welcoming galley has pretty facias that hide a walk-up self-service bar area on arrival. The Sky Bistro features teas, coffees, Champagne and wine, snacks, and a selection of reading material (see picture below and video). 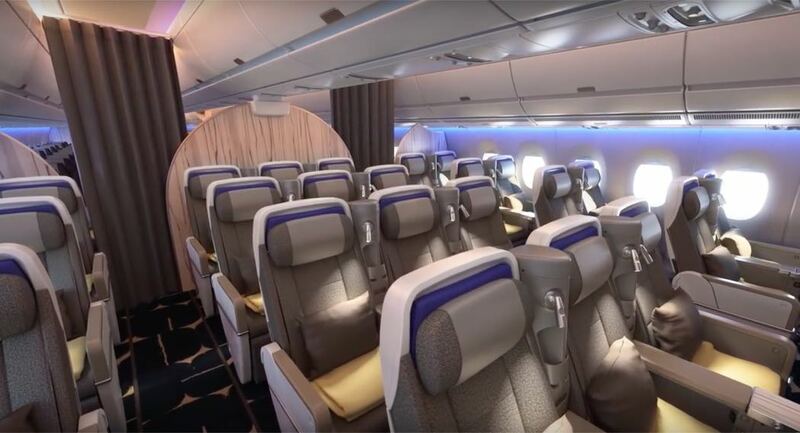 Premium economy on China Airlines A350 is in a very spacious 2-3-2 configuration, compared with 2-4-2 layouts on A350-operating competitors like Singapore Airlines and Cathay Pacific. 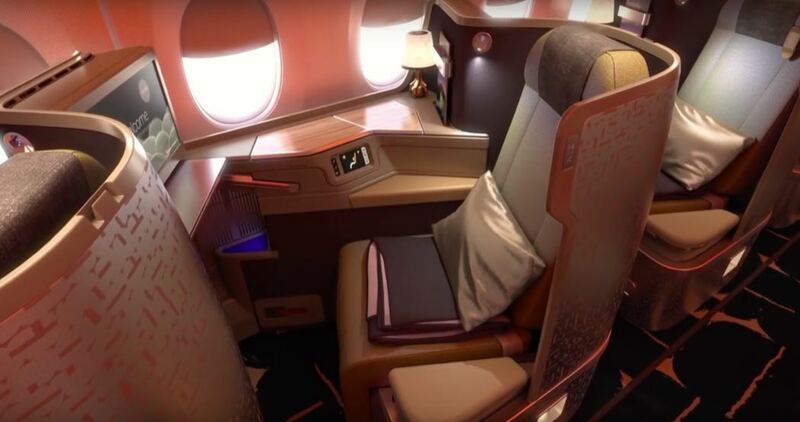 The seats offered are the same Zodiac AIRgo FX premium seats found on the China Airlines B777-300ER. 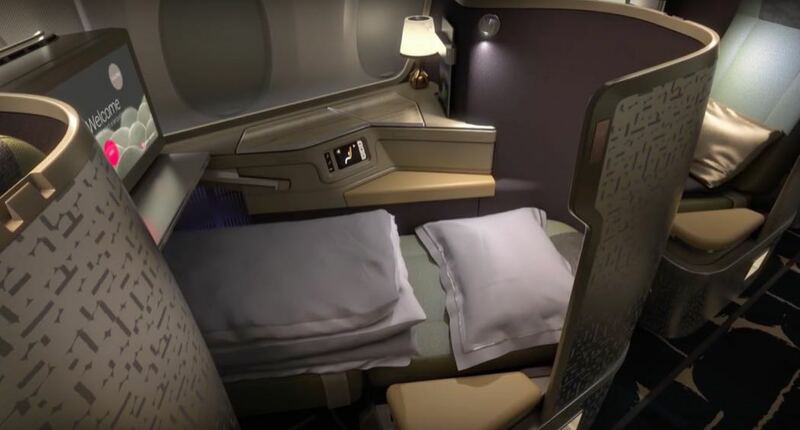 Because of the space this product comes closer to business than it does to economy with seats that recline to a comfortable dozing position and plenty of space for passengers. 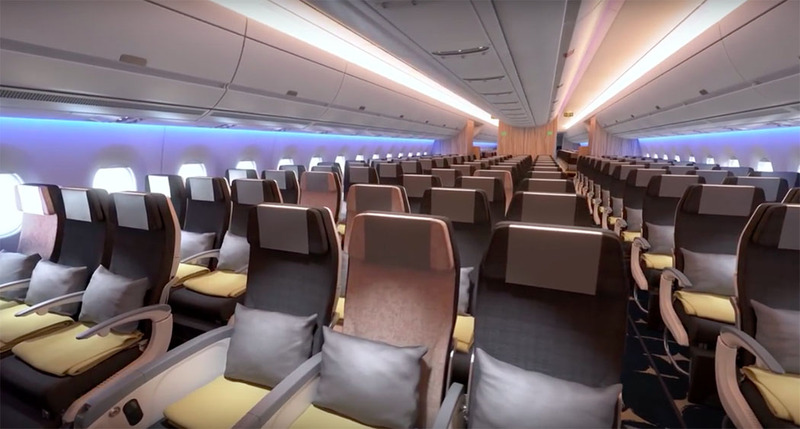 Economy on the A350 offers wide seats in a comfortable 3-3-3 configuration, plus the Skycouch for families with the addition of a small teddy bear. 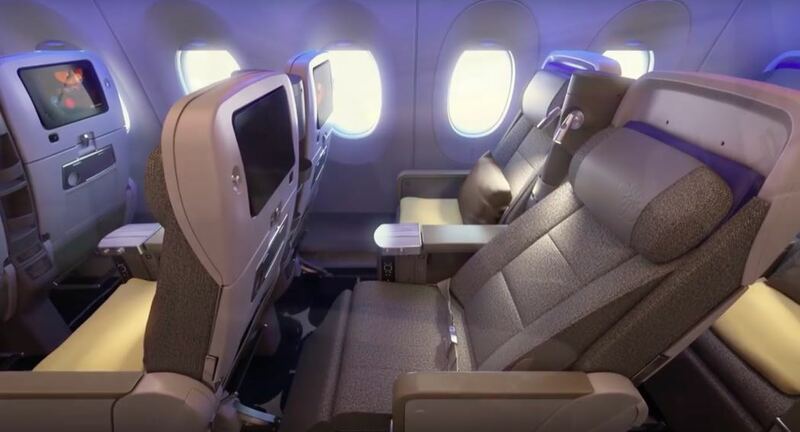 The seat width is a comfortable 18 inches, while each seat also offers 116 degrees of recline and a 32-inch pitch. 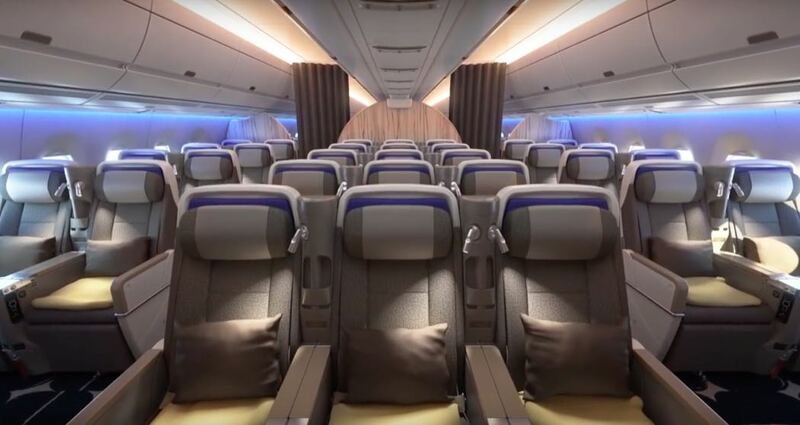 All China Airlines A350-900 aircraft will feature this three-class configuration, with 32 seats in Premium Business, 31 in premium economy and 243 in economy – of which 12 are Family Couch seats. The A350 is particularly good in economy, especially compared with the tight 3-4-3 seating on the 777-300ER and is a world-leader in premium economy.